Dr. Gérard Dieuzaide is dental surgeon, university degree of posturology and is today what one can call a posturo-dentist. It is thus before a whole holistic dentist, i.e. an expert who has a high knowledge that any act which it practises in the mouth of his patients can have consequences on the health status of this one. After being themselves a long time occupied dental occlusion and of its effects on health, its experiment clinical enabled him to be interested in an ignored phenomenon, however impossible to circumvent which is the electromagnetic effect of the matters in mouth. At certain people there exists an electro sensitivity to the matters involving sometimes serious disorders of health. We already had the occasion to speak with you about the noxious impact on our health about the electromagnetic effect of the matters stops the year dernière* of it. An electromagnetic incompatibility that you call also electromagnetic interference can be according to you responsible for pains of the fibromyalgic type. Can you tell some to us more on the subject? Thank you to ask me this question, it would however be more to these hundreds of patients that I helped to answer you. This pathology is part of my daily work indeed, and I am not afraid to say, even if that can appear arrogant that the got results are at the very least spectacular. More the share of my patients recover a health status which they had forgotten since many years. That after they were made withdraw certain matters in mouth, quite simply. But initially some precise details. The term “fibromyalgia” corresponds to a syndrome, dominated by a symptom which is that of the muscular pains. If you have the influenza you have aches, sometimes invalidating, and that has nothing to do with a fibromyalgia. It is thus a “disease” which one can regard as multi factorial. For example the disease of Lyme, the syndrome of Gougerot-Sjögren can give close symptoms or similar It is the case also of certain drugs, the hypothyroidism, or very parathyroïdie and other causes still. II is sometimes difficult to see there clearly. I have hundreds of testimonies and many documents which attest reality of the facts that I report you. But I will speak to you about two recent cases, because these people agreed to take part in a film made by the well-known director Jean Yves Bilien, specialist in documentary films of investigation in the field of health. This film feature film has as a subject the electrosensibility with the waves (wifi, telephony, radars, etc) and was made with the participation of professor Dominique Belpomme and professor Luc Montagnier inter alia. I appear there to speak about the electrosensibility to the matters. Dominique, 50 years, good medium, bride, two children, 15 years of life wasted, unable to assemble its staircase without stopping lengthily, incompetent to only get dressed or to shower themselves, several months over a wheel chair, every 15 days at the emergency department at the hospital of Toulouse. It would be too long to enumerate the list of its evils so much they are numerous. Tens of radios or other MRI, she is recognized by her doctors as fibromyalgic and being treated like such, i.e. put under “chemical “but so psychiatric treatment. Result close to zero. Today, a month after having it deparasity on the level of the oral sphere, i.e. after him to have removed some prosthetic reconstitutions in a targeted way, it does not have any more any pain. I specify that I left him the amalgams which it had in mouth and for which it did not have electro sensitivity. Another case: Franck, good medium, 10 years of martyrdom, the horrible muscular joint pains and, a medical record of about fifty radios. He saw all the large specialists in health likely to be able to help it, and other rheumatologists of the South-west of France without any success. But at least a name was put on its disease: fibromyalgia. Also is completely blocked, rising chair with difficulty, not sleeping more, and presenting suicidal tendencies so much the life had become to him painful. There too it would be too long to enumerate the long list of the symptoms which were them his. Chemical and psychiatric treatment: no result. I removed a large composite sealing to him a wisdom tooth top, and it was the same thing: a resurrection in the seconds which followed! All is in the film which the realistor Jean Yves Bilien with the scientific journalist Maxence Layet made on the electro sensitivity: “sacrificed waves”. These two people testified, and were filmed front, during and after the meeting of déparasitage. How can you explain such results, such spectacular and also rapids? The human body has an electric and magnetic reality and is consequently also a system open to vibratory information. Thus our body functions as receiver radio operator which can “sizzle” when the waves which it receives are incoherent with its own oscillatory system. “For some time, a certain number of individuals announce various health problems that they allot to their exposure to [electromagnetic fields]. So some bring back benign symptoms and react while avoiding as much as they can it these fields, others are so seriously affected that they cease working and modify their lifestyle completely. This supposed sensitivity to [electromagnetic fields] is generally called “electromagnetic over-sensitiveness “or HSEM) ” the brought back symptoms are varied, without specific profile symptomatic, which means that they can be connected with others turbid or diseases. They are also symptoms frequently met in the “general population”. On simple surveys, the électrosensibles proportions of people vary few people per million with 8% of the questioned people. In France, thanks to work of doctors like professor Belpomme, the environmental electrosensibility with the waves is now recognized and scientifically proven, even if some irreducible still clings, towards and against all with psychological explanations. But which relationship between a dental crown, or a composite and the waves from which you come to speak? Few people know that any matter emits an electromagnetic radiation. Heisenberg, one of the first architects of the quantum physics, Nobel Prize, tells us according to his famous principle of uncertainty, that no particle is at rest; The infinitely small does not know stability, and exists in a swirl of subatomic particles. Any matter is thus basically unstable. Each atom, when an electron or a neutron disappears emits an electromagnetic radiation. Any matter is thus transmitting of what is called an oscillating wave. In the quantum theory one speaks about matter wave. The quantity of energy thus emitted is called “quantum”. Thus we know absolutely that any matter emits a radiation, but also that the characteristics of this radiation, its energy, i.e. frequency and wavelength will be different according to the transmitting matter. This photonic effect of the matter is raised when the atoms which constitute it receive besides the natural fields or thermics an electromagnetic wave coming from a wifi, of portable telephony, an electrical circuit, an antenna relay or of a radar for example… These atoms are then known as in “a state of excitation”. The electrons turning around the core change more orbit and then release even more photon. For these reasons we can speak about photonic emission of the matter. Still recently during an interview made by the scientific journalist for the film of Jean Yves bilien, “sacrificed waves”, professor Jean Paul Bibérian, specialist in cold fusion, Engineer in nuclear physics and electronic, doctor-engineer and doctor ès science explained us the nature of this phenomenon. This information undulatory, when they are permanent since years, and located inside our body, as in our mouth, can have unsuspected and serious consequences, even dramatic on our health. One has more the right to pass today beside this reality. To deny, to say “I N do not believe in it” is a light behavior, not to say irresponsible, which finds its base in a scientistic formatting which does not have anything scientist. Too many people suffer from it so that one can sweep of a reverse of hand haughty and arrogant an established fact. What does it occur concretely? Let us be clear, how can you make a relation between a crown, a composite, or an amalgam and a disorder of health like a fibromyalgia. I could note that more the share of the people whom one calls fibromyalgic present a limitation of the amplitude of the articular movements. To make this report, I ask the person to put myself against the wall and to hold the arms tended in front of it (it is what I call the test of the tended arms), a hand taking the inch of the other, and to assemble the arms to gently carry out them above the head to touch the wall, which a “normal” subject made without difficulty. What is not the case of the fibromyalgic people whose survey of the arms does not exceed sometimes the horizontal one and is painful in the end of the road. An alternative is the test of the side arms: The subject upright positions back with the wall, the arms are tended laterally, held stiff, they go up gently while taking the wall like reference. A “normal” subject manages to plate the front armlevers on the ears. Certain people do not assemble them to the top of horizontal, others arrive at 45°. Sometimes the arms block in a symmetrical way but often it is noted that an arm goes up better than the other. The subjects fibromyalgic often find the arms in cross, the last centimetres being very painful. The movement can be passive, the subject then assembles the all alone arms after him to have explained what it must do. The movement can be active i.e. the expert will accompany the movement by a light pressure under the front armlever until meeting a clear resistance, always painful and always insuperable. They cannot go higher. After having determined by certain techniques which were the materials of dental reconstitution to which the patient presents a electrosensibility those are withdrawn. There is then in 100%des case a releasing of the amplitude of the articular movements, and more any limitation. It is a fact, it is always the same thing. If one gives materials removed in the hand of the patient and that one remakes the same tests there is again a blocking similar to that which one had at the beginning. It is a fact, it is always the same thing. You seem to also say that the sensitivity to the effect of an incompatible crown, for example, depends on the environment in which the patient is. Mrs X presents an incompatibility in mouth to a crown. To the test of the side arms it goes up to 45 degrees, the arms in cross being noted with 90 degrees. If I extinguish the electric meter of my doctor’s office, then it will gain in amplitude and will go up much higher, for example with 15 degrees. On the contrary, if I make the same test in front of a screen of lit computer, with about fifty centimetres, then it blocks with 90 degrees, i.e. the arms in cross will be found. If I close the screen, again it will slacken and go back to 45 degrees. When a person as Mrs X is déparasitée, then it does not present almost more any blocking even against the computer. If I put to him in hand a matter with which it is incompatible or the crown that I removed to him, then again it will see the amplitude of its limited movements. But if I put to him in the hand a standard matter in the same way, for example metal, with which it does not present an incompatibility, then it will not present any blocking. That is the experimental proof that certain people present a electrosensibility to the photonic effect emitted by certain matters, and that this effect is synergisé, amplified by environmental electromagnetic radiations. One can speak about photonic echo of the matter. Moreover professor Dominique Belpomme, understood these problems well, since he advises with his sensitive patients Very electro to be made remove the metal reconstitutions in mouth. He then notes always an improvement of their health status. For him these metals in mouth or elsewhere make antenna with the environmental CEM. But what is more difficult for him to understand it is than nonmetal matters, like composites, or resins, or zirconias can make the same effect exactly! One must thus test all the matters stops some without a priori being certain of their compatibility. But according to you that T it occurs on the level from operation from the organization? This interference, is responsible for a strong increase in what one calls the muscular spasticity, i.e. resistance to the stretching of the muscle. It creates chronic muscular hypertonicities, especially on the level of the tonic system reflex, i.e. muscles antigravitaire. A noxious domino effect is set up, and it is the whole of the postural system which is in imbalance. The whole of the postural sensors which normally allow a balance and a harmonization of the muscular tensions cannot fulfill its mission any more. Consequently these muscles of diminish chronic go to solicit permanently tendons, which themselves will request in an abnormal and permanent way the ligaments, which them even will request the cartilages abnormally, etc… Thus one finds oneself with chronic tendinitises and permanent joint pains. These muscles in parallel will be gorged with lactic acid and toxins, and to give muscular pains, permanent aches, etc the liver and the kidneys will be with the sorrow. Here how one arrives at a clinical picture of what one calls the fibromyalgia! As soon as the responsible matters are withdrawn one attends in all the cases an immediate relaxation of the whole of the muscular tensions. This relaxation is objectivable by the postural tests and the patient feels an important greater comfort immediately. More the share of time this déparasitage suffices for him all alone to relieve completely and definitively the patient. Sometimes it is necessary to follow the patient. When a subject lived during many years with strong tensions, the body tried to adapt and compensate by the action of all the proprioceptive sensors. The brutal relaxation of the muscular spasticity will oblige the organization to find a postural balance. That can be done in the pain. It is then necessary to help the patient initially by accompanying this relaxation by occlusaux adjustments dental, possibly by orthoptic rehabilitation, and sometimes by the wearing of proprioceptive soles. That can take one week or 15 days, seldom more. Thereafter, icing on the cake it can be interesting that an osteopath can in his turn bring his stone to the building. It can arrive as I specify it at the beginning of this article that the fibromyalgia is pluri factorial. In this case a strong improvement of the symptomatology of the patient will take place after déparasitage, but all the causes not having disappeared it will remain certain problems. How your patients react in front of these improvements of their so fast health status. After their having withdrawn according to the cases a crown, a composite, or an amalgam, immediately I put them against one of the walls of my cabinet. There even where a few first minutes I had practised the postural tests which highlighted blockings of the amplitudes of the often spectacular articular movements which were theirs. I remake the same operations then. It is in general a heartfelt cry, a cry of surprise, a cry of astonishment, which escapes from their mouth of the kind “that then” or “it is incredible”. However it should be known that thereafter, the days according to, of the violent pains can appear, which last a few days in general. They are all the more intense as the tensions were strong. It is with my direction a reaction of Herxheimer due to the brutal relaxation of the toxins which were stored in the muscles diminished. You understand that for people in an extreme state of suffering, incompetents to carry out a normal life because of their disease for sometimes 10 years or more, it has been a shock. To note that in a few minutes, after a gesture pain-killer like the east that to withdraw a crown for example, they can feel and note objectively that something has just occurred is emotionally strong. The hope, that they had lost, reappears.They reconsider with all the assault course which was theirs to find a solution with their ransacked life. They reconsider all to these specialists whom they consulted, with all these radios which they passed, with all these drugs which they absorbed, at all this wasted time…They hear again in their head these words terrible “you do not have anything, it in your head” is so often pronounced by their therapeutist.Often they tell me “it is necessary that is known “and I answer them yes “, it is necessary that is known”. But I know that will be difficult. I am used saying “Which does not have that a hammer can plant only nails” to paraphrase this sentence allotted to the systemician Paul Watzlawick: “For which has only one hammer, any problem resembles a nail”. Official medicine proposes primarily only chemistry, mechanics, psychiatry, etc the fibromylagie is a rather new disease, it was recognized officially in the United States in 1990. You know that it is also called diffuse syndrome polyalgic idiopathic (SPID): what is interesting here, it is that the problem is in the definition even, in the term “idiopathic”, i.e. without known cause. The specialists in this disease can always seek the cause, but I fear that they have the hammer! Indeed the electromagnetic reference frame is completely unknown for them. To evoke is immediately to be suspected of charlatanism! However for any rational spirit, rigorously applying the experimental method of Claude Bernard, the things are clear. The phenomenon is that which I describe. I do not see other explanations only those which I give. But I wish sincerely that the fundamentalist researchers consider these problems and brings possibly their lights to us in their own reference frame. One speaks today more and more about the fibromyalgia. One considers that between 3% and 5% of the population is touched. It accounts for 20% of the consultations of the rheumatologists There is a kind of epidemic of this disease (as there is an epidemic of cancers, autism, or patient multiple sclerosis of Alzheimer) per hour when so many devices of all kinds emit an incredible quantity of electromagnetic waves. For my part I consider that this prevalence is due for a good portion to the quantity and variability of the matters of which the dentists for their care help themselves on the one hand; and in addition that this electrosensibility with the matters in mouth is synergisée by the environmental electromagnetic fields. I announce you that the fibromyalgia is one of the forms extreme of these problems, and that many of other disturbances of health can be allotted to the same causes. I am used saying to my patients whom one can classify the consequences of the electrosensibility to the matters according to the intensity of the nuisances “a little, much, passionately, with the madness”. 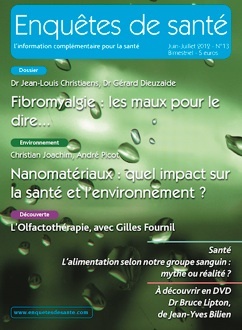 That joined the remarks already quoted previously of Pr Dominique Belpomm E, cancer specialist, who have worked on the electrosensibility for a few years and defined an electromagnetic syndrome of intolerance in the fields, SICEM, within the ARTAC (Association for Anti-cancer Research Therapeutic) of which he is president and for which certain metals in mouth makes antenna. I note that you did not speak to us about the dental amalgam to mercury, which one calls leading! I was going to come there! I remind to you on the way that there is no lead in leadings, and that this denomination comes from its color and not from its composition. They are made of silver and mercury 50% as much, with some copper or zinc traces, according to the manufacturers. We are there in the problems of the intoxications to heavy metals and it is a very vast subject which we can only fly over here and still very high! This subject largely exceeds the dental sphere. The seals and the polar bears all are poisoned with mercury, and they do not have leadings in mouth, which I know! That is with the atmospheric repercussions of pollution of planet which is brought on this zone to the atmospheric repercussions of pollution of planet which is brought on this zone Our environment, our dietary habits, or the consumption of certain fishes like tuna or the swordfish takes part in these problems. These fishes accumulate in particular mercury being in the preys of which they are nourished. The older they are, the more they contain these heavy metals. Obviously the mercury salting out by the amalgams or other metals by other alloys comes to raise this risk of intoxication, especially at people who present many prosthetic reconstructions in mouth. Certain doctors as think that certain people very électrosensibles would owe (inter alia) some their symptoms with these heavy metals. But of my humble opinion with regard to the symptoms of the fibromyalgia I think that there is confusion between the responsibility for mercury and that of the electromagnetic effect of the amalgam. This last element not being known one had with my direction to show the first a little quickly! The people making a chelation are always made remove or often remove the amalgams in mouth. They feel better point of considering postural, not because mercury of their organization was removed to them but because a harmful vibratory source was withdrawn to them. I thus think that the déparasitage is pre necessary with any chelation. There déparasite, and so at the end of a month one is not a strong improvement of health, then one chelate. (in the case or the intoxication with metals heavy at summer detected by analyses). That being, mercury is a violent poison responsible for a troop of problems which I would not tackle here, that not being the subject of this article. Which message would like to be made pass? When I speak about my activity to my friendly doctors, I often hear the same refrain often joined to a small arrogant smile: “me, I am Cartesian” For those I would answer only by this quotation of Descartes himself: “To reach the truth it is once necessary in its life to be demolished of all the opinions that one received and to rebuild the system of its knowledge”. I think that is to be meditated! The paradigm of official medicine support on a primarily biochemical and chemical vision of the life sciences. For a long time of many physicists tried to inform the biologists in their saying that many of their concepts were obsolete. The whole of the hospital and university researchers did not engrammés the Cultural revolution that the physics of the waves opened, of energies and are still in the old world. They for more the share built a genuine wall of China to these new ideas, arrivals however of a science one cannot more fundamental. It is true that the purely chemical vision of the operation of health is of obvious financial interest for the whole of the economic systems through the turnover of the pharmaceutical laboratories and other industries of the disease. It is true also that it is difficult, almost impossible for a scientist to recognize that the conceptual base on which it built all its career if not is exceeded, at least largely incomplete. The life is perceived like a sum of functions, as convenient is a sum of drawers. Each drawer has its specialist, cardiologist, chiropodist dentist, ophtalmologist, endocrinologist, etc Each drawer is independent and wants nothing to know of what occurs in that from the top or the lower part. However the observation of certain phenomena, prove to us that there is another main idea that of chemistry. That made a long time that I work on this subject, I presented in 2004 my report to the university Paul Sabatier in Toulouse entitled “the postural interference due to metals”, I made postural assessments to thousands of people. Each time it necessary and was justified, the electromagnetic déparasitage in the moment was followed of a releasing: the people recolorent themselves on the level of the face, physically they feel better, they slacken. It is phenomenal! How that can it not be known?! How to make so that these doctors and other specialists have the reflex in the case of to think of a possible electrosensibility of their patients certain pathologies, such as for example for the fibromyalgia. Temptation is large, during chronic diseases to turn to alternative medicines, insufficient “classical” medicine being considered to be, even ineffective. So certain techniques are recognized and were the object of scientific studies, it is necessary to be wary of the others, (in particular of the “on-promises” which you can find in magazines or on the Internet). It is regrettable that for diseases for which official medicine knows that it is more or less impotent, it continues to close ways which can, we know it all, to bring a relief to the people concerned It is with my desirable direction that the medical research leans without no a priori on the action of inert matter wave on the alive one. The human body, extraordinary receiving with these infinitesimal vibrations, proves to us by its sometimes exaggerated and spectacular answers incredible sound sensitivity, but also by là-même their existences! Only the quantum approach, even biophysics can explain why such a negligible signal is disturbing as much. Of what does consist what you call the déparasitage, there are other solutions? The decay. According to the studies led by the O.M.S the decay is the 3° world plague today. Thus, in Paris region, a 12 year old teenager presents on average four decays. This importance is probably due to the increasing wealth of the glucid supply. As much to say that 40000 dentists in France take care essential to the population, and who among us does not have in mouth some amalgams, composites, implants, crowns, or other prostheses. Many people present in mouth a heterogeneous or not metal metallic material mosaic. At certain people, having susceptibilities to the photonic effect of certain matters, disorders of health amongst other things appear, of the pains of the fibromyalgic type. It can appear astonishing that such negligible vibratory information, almost unimportant, can involve disorders of health so prejudicial. That points out the problems of the allergy. For a subject allergic to the hair of cat which returns in a house or there is a cat, even if it does not touch it, of the disorders like sneezes, more serious rednesses or others immediately will appear. But if there is only one rabbit, it will not occur anything! It is thus although a human organism is an incredibly sensitive machine, subtle and delicate. Déparasiter initially consists in determining which matters stops some being used to look after certain teeth are responsible for tensions and increase in the muscular spasticity at the examined subject. It is thus a question at the beginning of making a diagnosis, because all the matters in mouth are not responsible. Thereafter the harmful matters are withdrawn. The problem arises then of their replacement. The dentists have a large range of choice, and there exist hundreds of materials being used to make the same things. Some are appropriate, others not. To know if a material is appropriate it should be tested. Certain postural techniques of test make it possible to know if a material held in hand for example gives tensions or not, i.e. to know if it is neutral step. It is the latter which will be selected. One tests in fact the electromagnetic compatibility of a material with the oscillatory system of the patient. It also should be known that the concept of biocompatibility such as that put ahead by the commercial ones does not have for me not much direction, in any case with regard to dental materials. A matter can be compatible for you and not for your sister! They are individual susceptibilities, as for the allergies. This concept is often more one selling point, of communication, marketing that a reality. Materials like titanium or zirconia have with my direction a reputation of usurped biocompatibility. There is only the test which, is to him a personalized response of an organization to vibratory information. Now let us come in to your question: There are other solutions. For the moment I did not meet any with regard to the interference in mouth. The materials used by the dentists are alloys, extremely complex for technical reasons. One cannot modify the characteristics of their photonic emission. The only true solution remains to my knowledge their ousting. Certain energy methods, working on the meridian lines can modify in certain circumstances the receptivity of an individual to information. I think of certain techniques of kinesiology or the Naet method of which I help myself for example for raising “allergies” to certain products like eugenol. They is constituent canal pastes of obturations located in the dental roots when a tooth was devitalized. I also make use of it for raising certain vaccine stoppings when I meet them. It is a long method but which makes it possible to raise intolerances and allergies. I also think that techniques usable by devices of quantum medicine make it possible to raise incompatibilities. But that requires a truth knowledge to make on behalf of the manipulator. In addition I always wondered, knowing the effect of the waves, which could occur if the wave sent by these devices “typed with dimensions! ”. Finally to finish this maintenance, I would never insist enough on the importance of the food in the fibromyalgia. To always remove the dairy products, cheeses whatever they are and if the gluten can. To have a physical-activity as soon as it is possible. Détoxiner by dealing the best possible one with its liver, but also when one can while perspiring as much as possible with the sauna for example and by drinking much water of quality.